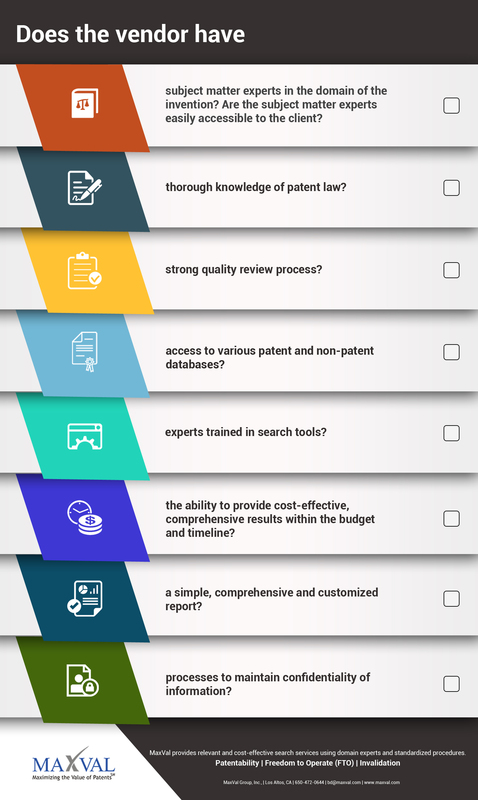 A patentability search and analysis are carried out to ensure that an invention would meet the novelty and non-obviousness requirements for obtaining a patent. However, such search and analysis would not be effective unless claimable subject matter is identified correctly. A patent agent or attorney needs to thereafter determine the breadth of the claimable matter by examining the disclosure along with the prior art identified in the search in order to complete the analysis.A patent cannot claim something that already exists or is apparent on combining existing knowledge. Prior art refers to any technical information that exists prior to the effective date of a patent application that discloses the same or similar solution to the problem addressed by the invention. Identifying relevant art that predates the critical date is a big challenge. It is important to choose a reliable prior-art search professional or firm, so that the full potential of an invention may be realized. In today’s electronic-age, anyone with Internet access and basic technical knowledge could, in principle, conduct prior-art searches. However, deep knowledge of the technical domain as well as patent law is required to analyze an invention satisfactorily for determining patentability. Appropriate usage of search tools and technical expertise are required if results are to be obtained within reasonable cost and acceptable timelines. There are a number of ways to locate a competent prior-art search professional or firm: Internet search, online directories, the patent office websites, etc. Here are some of the key questions that should be asked by an inventor or applicant while hiring a vendor to perform prior-art searches.